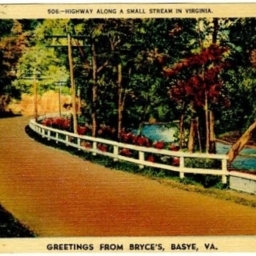 Postcard showing a stretch of highway along a stream near Bryce's in Bayse Virginia. 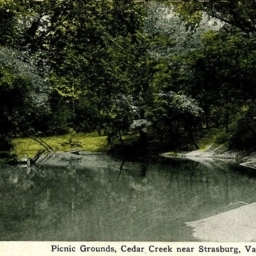 Highway Along A Small Stream in Virginia. 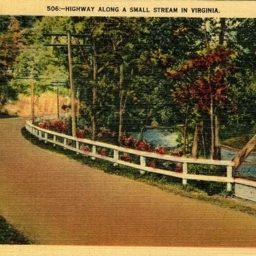 Color postcard with a picture of a highway running alongside a stream somewhere in Virginia.